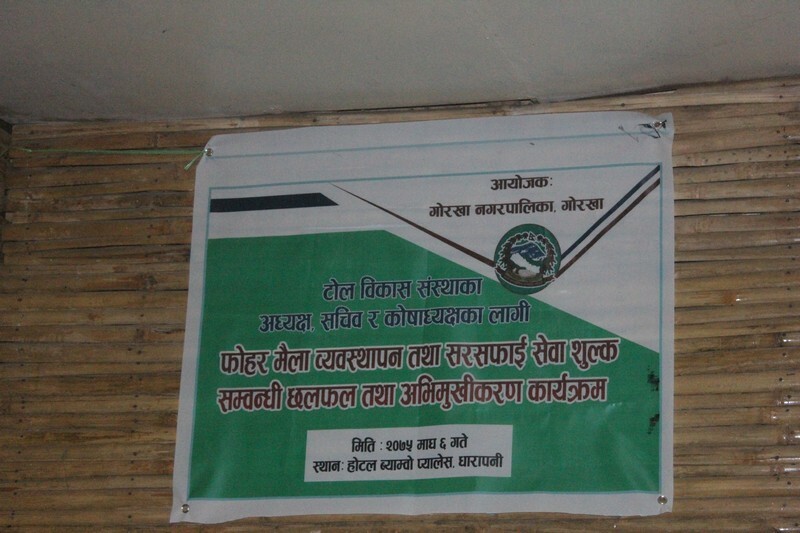 Gorkha Municipality has organized one day discussion programme related to waste management and cleanliness service tax. The chairmanship was carried out by Mayor, Rajan Raj Panta. Other Presenties were CAO Krishna Kumari Shrestha, different section heads of Gorkha Municipality, community development committee's representatives and journalists. The main objective of the program was to let people know the new waste management schedule of Gorkha Municipality along with the future plans for landfill sites and conversion of waste to recycable thresholds. The presenties were around 150 in the program.